Kokuyo LONG Dot Liner Adhesive Runner 254043 at Simon Says STAMP! 254043 This item is on reserve until If you would like to reserve this item now, you may purchase it now with the rest of your order. We will hold your order now and ship your entire order as soon as this item is back into stock. If you would like your order to ship now, please place this item on a separate order. Success, Kokuyo LONG Dot Liner Adhesive Runner 254043 has been shared! 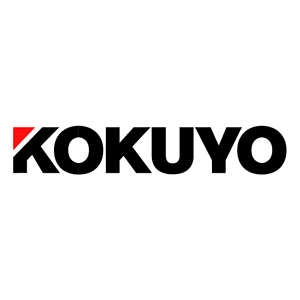 KOKUYO was founded in 1905 and aims to become a corporation that contributes to social development by improving the creativity and efficiency of office workers, and building comfortable environments based on the belief that the potential to bring sustainable development to a corporation lies within its offices. That same level of quality goes into their office supplies product lines. For KOKUYO, creativity means solving the small problems people encounter in their work and daily lives, one by one, through the use of creative ideas.